On Monday, we asked you to send in questions for Volume 28 of the DL Q&A Sessions. We received a ton of great questions, but have narrowed them down to just a few which our team has tackled. This week, it seems that our readers want to know if any OEM can catch up to Samsung’s Galaxy S6 lineup, and if Motorola will ever step up their camera game. In addition, we answer what our favorite streaming device is, which budget tablet shoppers should consider, and what artist we find ourselves listening to the most lately. Do you think any Android OEM will release a device in 2015 that can reasonably compete with the S6/S6 Edge? K: I have my doubts. And that’s not because I don’t think we are going to see some amazing phones from other OEMs, it’s that I don’t think anyone is going to come up with a package this good. If somehow, Motorola can put together a camera experience this good in the new Moto X, then maybe, they’ll compete. Otherwise, expect 2015 to be the year of Samsung. And they deserve it – these phones are absolutely amazing. T: After seeing HTC release the One M9, then Samsung with the S6 and S6 Edge, it’s obvious that other OEMs need to start taking risks. You can’t just re-release the same phone from last year. You need to push boundaries and innovate. Whether you do that with hardware design or software, people don’t want to be bored. I have high hopes for the LG G4, as well as Motorola’s next flagship. And of course, the next Nexus. 2015 should be an excellent year for Android, and it’s probably directly related to how much pressure Samsung is putting on the other OEMs thanks to the Galaxy S6 and S6 Edge. R: I’m holding out hope for the Z4, but outside of Sony I have serious doubts. Motorola can’t do it, HTC failed, and I’ve never been a fan of LG. I think Samsung’s going to have a really good year. What is your main content streaming device? K: Combination of the Chromecast and Nexus Player at the moment. I really only use them to stream movies through Plex. I’m pretty boring when it comes to content streaming. T: It’s all about that Chromecast. Best $35 you will ever spend. I use it for movies, music while I play board games in the living room and clean, and stream YouTube videos all of the time. I love it. Plus, Google is always giving free Google Play credit away through it, so it has already paid for itself in promotions. Two words – Game Changer. R: Chromecast is where it’s at. If the Nexus Player had just as much support as the Chromecast I’d probably jump to that, but for now the Chromecast does everything I want at an insanely good price. Out of all of the phones you have reviewed, which phone has the best overall package? K: Right now – it’s the Galaxy S6. I can emphatically say that before even doing a full review. It has the best build, best internals, best camera, best display, and is the most future proof phone I have seen in years. If we are talking 2014, I would have said the OnePlus One. But for this year, it’s the Galaxy S6. T: When HTC released the One X, I didn’t think any company could ever top it. Now in 2015, and looking at where HTC is, that has obviously changed. But as for a full package, the One X was my complete dream phone. Right now, in terms of full package, the S6 lineup takes the cake. R: I’ve only reviewed the Z3v personally, but I’m a big fan of Sony and Samsung’s offerings. If I were to come back to Android sometime this year, say around October, I’d theoretically be looking at a Z4 or a Note 5. Theoretically. What artist are you currently listening to the most? K: J. Cole on repeat. The guy just keeps getting better and better with each album. Also, just picked up the new Wale and it seems really promising. T: Well, Metallica is now on Google Play, so I have been listening to a lot of that. As for new stuff, I have enjoyed Kendrick Lamar’s new album, as well as listening to the first Divine Heresy album. So f’ing brutal. R: I’m a worship leader so I listen to a lot of worship music, especially when we have major services coming up like we do this week. So I’ve been listening to a lot of King’s Kaleidoscope, Citizens & Saints, Dustin Kensrue, and John Mark McMillan. Outside of that it’s been Iggy Azalea, Maroon 5, and Shakey Graves. Do you think 2015 will be the year that Motorola fixes their horrible camera software/image processing/etc? K: No. As much as we love Motorola’s phones, they have never put a good camera in a phone. As in, never in their history. I just don’t see that changing now, which is too bad. Their 2015 phone will once again have the best overall Android experience, but I’d be willing to put a lot of money on the camera still being subpar. T: I was hoping 2014 would be that year, but with the DROID Turbo and Moto X (2nd Gen) both featuring just ‘okay’ cameras, I think I am just accepting the fact that Motorola can’t do cameras. 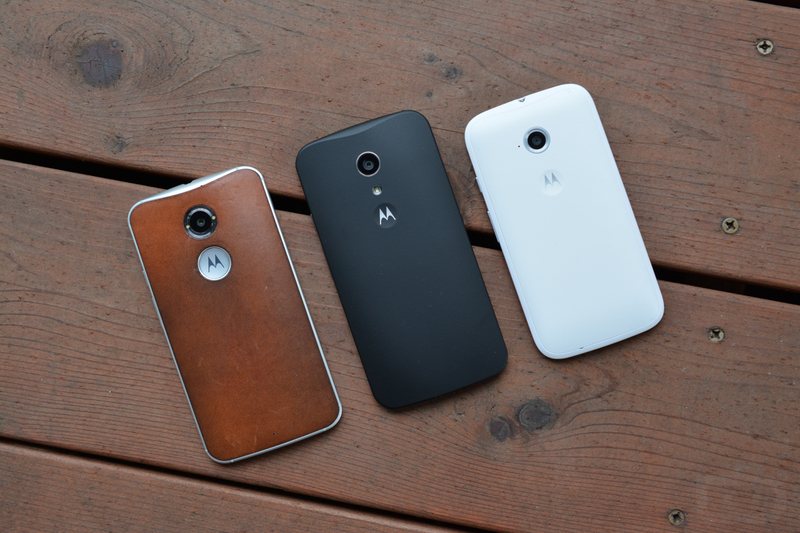 Every company has their niche, and Motorola obviously doesn’t have the camera tech. They do have hardware, though, so that’s a big plus in my book. Now that I am back on a Samsung phone, you will see my Instagram post count go up like crazy. R: No, I don’t. At this point I think they’ve chosen to differentiate with customization and software, which is great for some users. I wish they’d overhaul the camera so that the X could really compete, but I don’t think that’ll change this year. What’s your recommended budget tablet? K: Well, the Nexus 9 seems to be seeing more and more discounts these days, which means no one is selling them. Before long, it’ll be $299 and then the best budget tablet. As of today, probably discounted G Pad 8.3s or Galaxy Tab S models. You can find almost all of them for under $300. T: Considering that the Nexus 9 always seems to be on sale somewhere or other, that tablet would be an excellent choice. Of course, there will always be the Nexus 7, which you can probably find for $100 on the web. Unless you’re going with a Nexus or high-end Samsung tablet, I would stay away from budget devices. The chance you will ever see an update is slim, and frankly, if it’s priced super cheap, it is possible it’s a steaming pile of crap. R: Outside of the Nexus 7 I don’t know of a good cheap Android tablet. I’d recommend saving up for a Shield Tablet or a Nexus 9. Do any DL staffers use a Chromebook? If so, which one? If not, why not? K: I’ve tried, but I just do too much video and photo editing these days for it to work out. That doesn’t mean I wouldn’t love to be able to use one. I’m really tempted to buy that new Chromebook Pixel, but am afraid it’ll sit on a shelf. T: I have had a few Chromebooks, but I just can’t really get a lot done at the rate at which I am used to with my Macbook Pro. I can see how Chromebooks could be useful in certain cases, but so far, they just don’t do it for me. R: No because I use a lot of native apps like Mailbox, Pixelmator, Tweetbot, etc. I’d consider getting one as a cheap writing machine if I wrote full time and found one with a decent trackpad. To see previous Q&A Sessions, click here.